6 AM Delivery Oro Valley Loop and Trailhead! Delivery To Trail 6AM - $95 Per Rider! 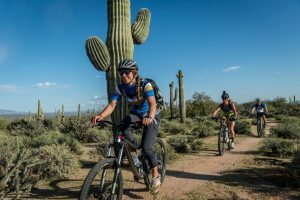 Ride Arizona's most scenic and historic trail! 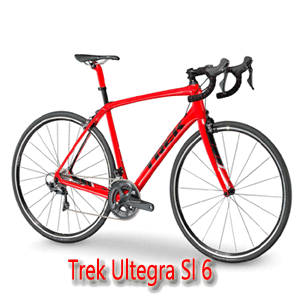 Gatorskin Flat Protected Trek/Specialized ULTEGRA/105 bikes! Pickup/Delivery Hybrid Bike Just $49! Pickup night before/early as 6AM! 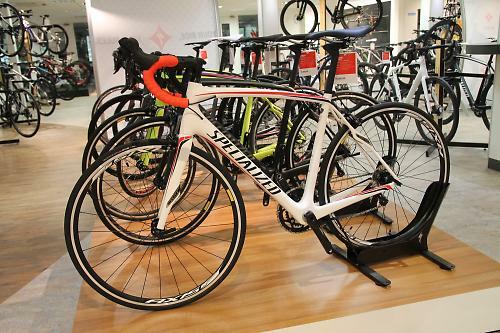 Rent Specialized and Trek Bicycles! Pickup your bike night before or 6am! 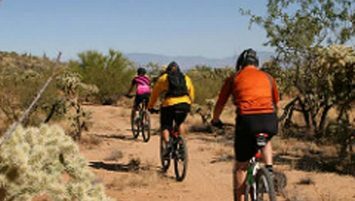 Tucson Bike Rentals and Tours delivers new and premium road, mountain and hybrid bikes as well as top of line bicycles for kids and women. 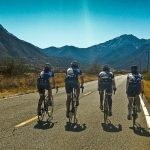 We have the most impressive bicycle rental fleet of any bike rentals shop in Tucson, Marana and Oro Valley, offering bicycles for the very small to the very big. 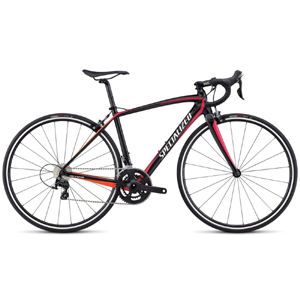 We also rent premium Trek, Cannondale and Specialized carbon road bikes. 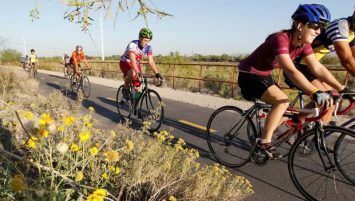 Pickup and delivery can be provided for bicycle rentals to Tucson, Oro Valley and Marana. FREE delivery to Oro Valley hotels! We provide free helmets, pedals and plenty of fun! Mountain Bike Rentals AT HoneyBee Canyon Trail Loop – Delivery As Earl As 6 AM! 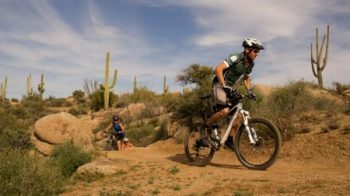 Looking to do some mountain biking at some of Tucson and Oro Valley’s best trails without having to hassle with transport? Meet us at the HoneyBee Canyon Trail Loop and we deliver and pickup NO FLAT/TUBELESS Giant and Specialized mountain bikes for just $95 per rider – helmets, pedals included. 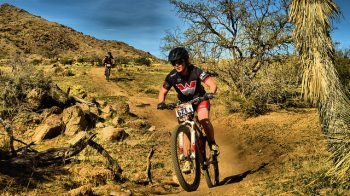 Beginners to advanced love Arizona’s top mountain bike trail! We are Tucson’s ONLY bike rental dealer to offer flat protection on ALL bikes! Tucson, Arizona is haven for flat tires. 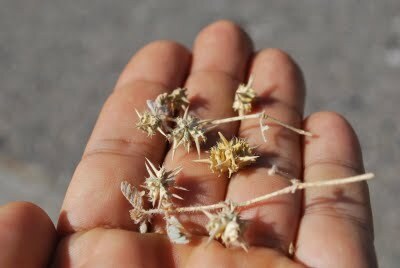 Our streets and paths are loaded with cactus and impossible to see goatheads. These goat heads penetrate “stock” tires and cause flats. Stock road bike tires and mountain bike slime tubes DO NOT work in Tucson! All of our hybrid, road and mountain bikes are flat protected. 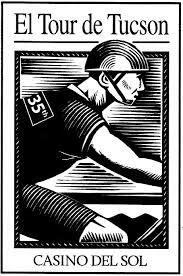 Our carbon and economy road bikes come with Kevlar lined Armadillo tires and our mountain bikes are Stans NO FLAT TUBELESS protected. We are Tucson’s ONLY bike rental shop offering Armadillo and tubeless tire bikes! Free Delivery to Oro Valley Hotels! FREE Delivery to Oro Valley/Downtown Hotels! Rentals come with FREE pedals, helmets, maps. Road bikes come with Kevlar lined Armadillo tires. 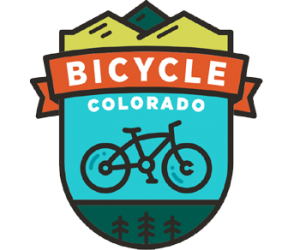 Mountain bike rentals come with Stan’s NO FLAT, TUBELESS tires. Don’t be victimized by Tucson goat heads! 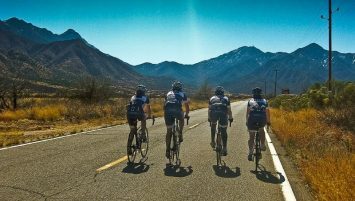 Climb to the top of Mount Lemmon or cycle the Tucson Loop on one of our high end, carbon Specialized Roubaix SL 4, Trek or Cannondale bikes. All bikes come with flat resistant Gatorskin tires. We also have women’s specific design (WSD) rental bikes! 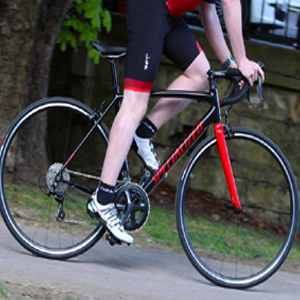 We have a fantastic fleet of Specialized Allex and KHS aluminum road bikes with carbon forks. 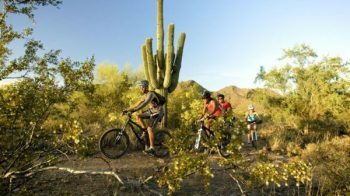 Discover Tucson and go cycling on our well-maintained fleet of rental road bikes. 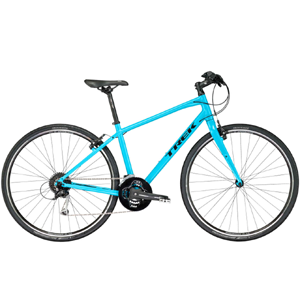 We also carry economy women’s specific rental bikes! 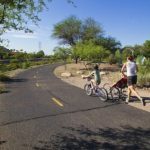 Cruise the Oro Valley/Tucson Loop bike path, feel the sun at you back on hundreds of miles of clean/wide shouldered roads. 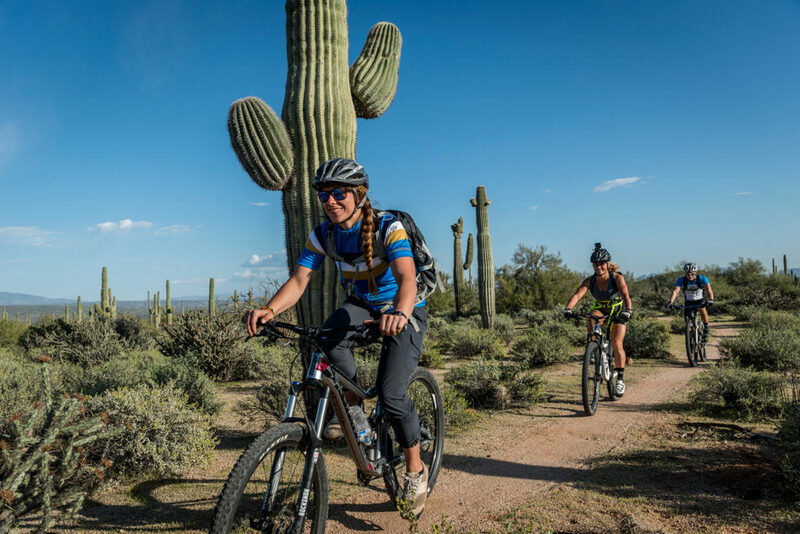 Bike Tucson without a care on our fantastic NO FLAT, self sealing hybrid rental bikes! 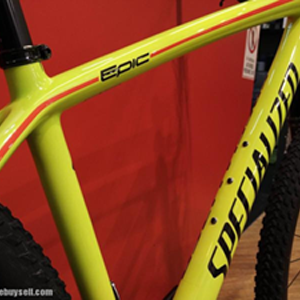 As Tucson’s ONLY mountain bike rental dealer, we offer brand new, NO FLAT, TUBELESS, Specialized Epic/Stumpjumper front shock mountain bikes. 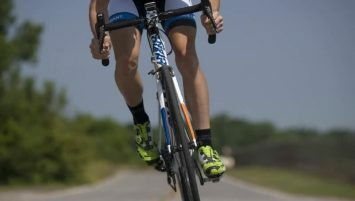 These mountain bikes are fast, light, stiff and agile! 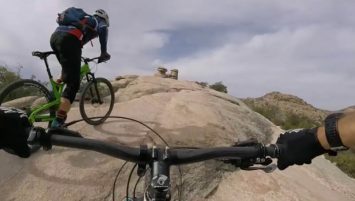 Take on Tucson’s mountain bike trail with Specialized! Need a great bike to tackle scenic HoneyBee Canyon? 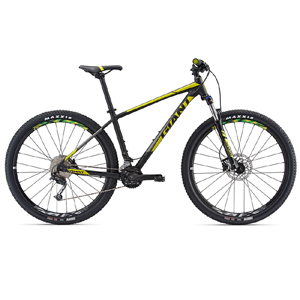 We offer solid, sturdy NO FLAT, TUBELESS, brand new, Giant Talon 2 mountain bikes. These are fantastic rental mountain bikes. Rent one for a week for just $275! Women should bike in style and comfort! We carry womens specific and optimized, road, mountain and hybrid bikes that fit even tiny women. All bikes come with flat resistant Gatorskins! We have what you need. 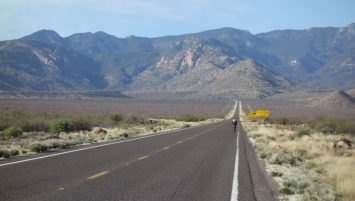 Bike North Tucson’s Sensational Three! and helmets. We take care of everything! Never get lost! Trail is a loop. $95 per rider, $69 for kids under 14. Mountain Bike famous race course*! Never get lost! Trail is loop. 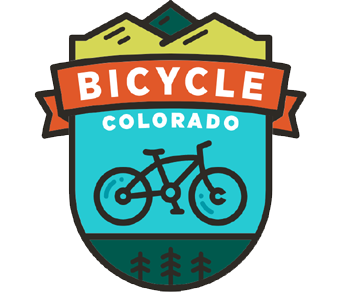 Rent a bike, take your family, just $49 per bike..
Pickup/Drop off on The Loop! 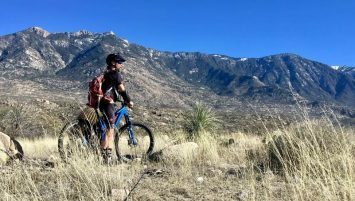 Sweetwater Preserve is great for those looking for a casual mountain bike ride and those looking for a stunning technically challenging ride.